Full name is Junior Osvaldo Lake. Signed by Jose Serra and Marino Encarnacion (Cubs). Appeared in 22 games (10 starts) with TOR and in 82 games with Triple-A Buffalo. In his final 43 minor league contests (beginning 5/18), batted .288 (40-for-139) with a .392 OBP. TOR went 6-4 in his starts, each of which came in RF...Selected to the ML roster on 6/24 and appeared in 19 games with the Jays before being designated for assignment on 7/25...Selected again on 8/10 and played in 3 more ML games...Designated for assignment on 8/16 and spent the remainder of the season with Buffalo. Following the season, batted .264 (46-for-174, 10 2B, 2 3B, 2 HR) with a .354 OBP in 48 games for Oriente in the Dominican Winter League...Had a 13-game hitting streak from 11/9-29. Began the season in the Chicago Cubs organization before being traded to Baltimore in exchange for RHP Tommy Hunter on July 31… Made appearances for both the Cubs and Orioles as well as their Triple-A affiliates, the Iowa Cubs and Norfolk Tides. With the Cubs hit .224 with four doubles, 1 HR and 5 RBIs in 21 games… Hit just .136 in eight contests with the O's with all three of his hits going for doubles. Posted a combined .312 average in the minors, his highest total since 2011 when he hit .315… His .405 OBP was the highest mark of his career. Hit .290 (9-31) with six doubles vs. LHP in the Majors compared to just .143 (7-49) with one double vs. RHP. Junior spent a majority of the year with the Cubs after he made his first Opening Day roster...Batted .211 (65-for-308) with 10 doubles, three triples, nine home runs, seven stolen bases and 25 RBI in 108 games for Chicago...Appeared in 53 games (42 starts) in left field, 36 games (28 starts) in center field and one game in right field...Finished with a .955 fielding percentage (7 E/155 TC) and three outfield assists...Had a nearly identical average against lefthanders (.213) and righthanders (.210)...Batted .357 (5-for-14) in extra innings...Recorded a season-high three hits on three occasions: May 3 vs. St. Louis, May 12 at St. Louis and May 21 vs. the Yankees...Tied his career high with a nine-game hitting streak, May 12-23...Hit .375 (15-for-40) with five doubles, two home runs, nine RBI and a 1.031 OPS...Was his third career nine-game hitting streak...Set a career mark with six RBI, May 12 at St. Louis, going 3-for-6 with two doubles, two runs and a home run...Was the fifth time a Cubs No. 2 hitter had six RBI in a game, joining Charlie Hollocher (Aug. 25, 1922 vs. Philadelphia), Lee Walls (April 24, 1958 at Dodgers) and Ryne Sandberg (May 31, 1983 vs. Houston and June 23, 1984 vs. St. Louis)...Drew a career-high two walks, May 30 in Milwaukee...Recorded his second career multi-homer effort, June 7 vs. the Marlins...Optioned to Triple-A Iowa following the game, August 15 at the Mets...Batted .262 (17-for-65) with three doubles, two home runs and seven RBI in 14 games with Iowa before he was recalled, September 2...Played 42 games for Estrellas de Oriente in the Dominican Winter League...Hit .243 (34-for-140) with two home runs and 12 RBI...Drew 30 walks. Junior made his major league debut, appearing in 64 games following his promotion to Chicago, July 19 ... all told, hit .284 (67-for-236) with 16 doubles, six home runs and 16 RBI ... played 32 games in left field and 27 in center field... His 67 hits following the All-Star break ranked second among N.L. rookies (Miami's Christian Yelich, 69) and fourth among big league rookies... Batted .377 (23-for-61) against southpaws, the ninth-highest average in the N.L. following his promotion on July 19... Had two career-high nine-game hitting streaks, done August 18-26 (.366/15-for-41) and August 31-September 12 (.448/13-for-29). … had four hitting streaks of at least seven games, including the first seven games of his big league career... Made his major league debut, July 19 in Colorado, going 3-for-4 as the starting center fielder ... doubled in his first big league plate appearance and stole third on the next pitch... Was the first Cub with three hits in his big league debut since Kosuke Fukudome on March 31, 2008 vs. Milwaukee... Began his big league career with a seven-game hitting streak, the first Cubs player to do so since Jerome Walton's seven-game hitting streak in 1989... Had 15 hits in his first seven games, the most by any Cubs player through his first seven big league contests since at least 1916... Since 1921, only one other player recorded as many as 15 hits within his first seven games with the Cubs - George Kelly, a veteran player in 1930... Recorded his first career multi-homer game, August 1 vs. the Dodgers, in just his 15th career game... Collected two four-hit games within his first 16 career contests, July 22 at Arizona and August 2 vs. the Dodgers... Is the first Cub since at least 1916 to collect two four-hit affairs in his first 16 career games, and the first in baseball since Bo Hart did so for St. Louis in 2003... Had 34 hits in his first 25 career games, third-most for any Cub, surpassed only by Mandy Brooks in 1925 (41 hits) and Andy Pafko (35) in 1933-34... Belted his first career grand slam, September 6 vs. Milwaukee's Kyle Lohse... Began the year on Iowa's disabled list due to a rib fracture suffered during Spring Training ... made his season debut in June and hit .295 (46-for-156) with 10 doubles, two triples, four homers and 18 RBI in 40 games for the I-Cubs prior to his call-up... Hit .343 (36-for-105) with four doubles, a triple, two home runs and 13 RBI in 27 games for Estrellas de Oriente in the Dominican Winter League. In his sixth professional baseball season, Junior hit .279 (113-for-405) with 10 home runs and 50 RBI while stealing 21 bases in 103 games with Double-A Tennessee...Set career-highs in doubles (26) and OPS (.773). ...Recorded a season-high 12-game hitting streak from July 15-30 ... batted .364 (20-for-55) with six doubles, three home runs, 13 RBI and 10 runs during the stretch. ...Reached base safely in 22-straight games from July 7-August 1 ... logged a .311 (28-for-90) batting average during the run. ...His .298 (28-for-94) batting average in May was the best of any month. ...Recorded four-straight multi-hit games, May 21-24. ...Registered his lone multi-homer game of the season, July 25 at Jackson ... finished 2-for-4 with three runs scored, two home runs and four RBI. ...Batted .290 (90-for-310) with nine home runs and 39 RBI against right-handed pitchers. ...Was 43-for-143 (.301) in the first half of the season ... recorded six home runs and 40 RBI after the All-Star break. ...Hit .302 (52-for-172) with five home runs and 45 RBI with runners on base. ...Missed over a month of action when he was placed on Tennessee's seven-day D.L. on April 5 due to a back strain ... was activated on May 6. ...Batted .312 (48-for-154) in 44 games with Estrellas de Oriente in the Dominican Winter League. Junior split the campaign between Single-A Daytona and Double-A Tennessee, and combined to bat .279 (124-for-445) withcareer highs in runs scored (80), doubles (21), home runs (12), RBI (51) and stolen bases (38)...His 38 stolen bases led the Cubs farm system...was caught stealingjust six times...Batted .315 (64-for-203) in 49 games with Daytona to begin theseason, and garnered a nod to the Florida State League All-Star Game...Recorded a .327 batting average (17-for-52) off southpaws at theSingle-A level...Promoted to Double-A, May 30, and went on to hit .248 (60-for-242) in67 games...Landed on the seven-day disabled list, July 10-24, with a right shoulderstrain...Led the Arizona Fall League with 18 stolen bases in 18 attempts for theMesa Solar Sox...named the player of the week for the third week ofthe season, hitting .455 (10-for-22) during that span. Named to the AFL Top Prospects Team as a shortstop. Appeared in 120 games for Single-A Daytona, hitting .264 (104-for-394) with a then career-high nine home runs and46 RBI...had a .308 batting average (33-for-107) off southpaws...Batted .279 (17-for-61) in June and .302 (29-for-96) in July after posting a .209 average (24-for-115) in 38 games in the first two months of the season...Seven of his nine homers came in July...all told, seven of his nine blasts were hit off righthanders. Junior batted .248 (115-for-463) in 131 games for Single-A Peoria...his seven homers surpassed the five he hit in hisfirst two seasons combined (109 games)...had 19 doubles and seven triples. Posted a career-best .286 batting average (48-for-168) with Rookie-League Mesa...had 23 RBI and 12 extra-base hitsand 12 stolen bases in 47 games. Junior made his professional debut with the Cubs Dominican Summer League squad...he batted .274 (61-for-223) with16 doubles, two triples, three homers and 30 RBI in 62 contests. January 27, 2019 OF Junior Lake assigned to Dominican Republic. October 13, 2018 OF Junior Lake assigned to Estrellas Orientales. July 10, 2018 Bravos de Leon traded LF Junior Lake to Toros de Tijuana for RHP Cesar Carrillo. April 7, 2018 Bravos de Leon signed free agent LF Junior Lake. February 23, 2018 Seattle Mariners invited non-roster OF Junior Lake to spring training. February 17, 2018 LF Junior Lake assigned to Tacoma Rainiers. 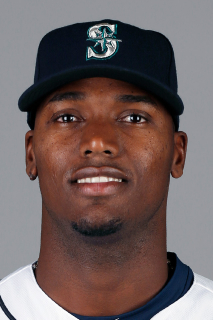 February 16, 2018 Seattle Mariners signed free agent OF Junior Lake to a minor league contract. February 1, 2018 OF Junior Lake assigned to Dominican Republic. December 26, 2017 OF Junior Lake assigned to Aguilas Cibaenas. October 14, 2017 OF Junior Lake assigned to Estrellas Orientales. June 20, 2017 CF Junior Lake assigned to Bravos de Leon. June 20, 2017 OF Junior Lake assigned to Generales de Durango. May 1, 2017 Pawtucket Red Sox released LF Junior Lake. December 20, 2016 LF Junior Lake assigned to Pawtucket Red Sox. December 9, 2016 Boston Red Sox signed free agent RF Junior Lake to a minor league contract and invited him to spring training. November 7, 2016 RF Junior Lake elected free agency. October 20, 2016 OF Junior Lake assigned to Estrellas Orientales. August 19, 2016 Toronto Blue Jays sent RF Junior Lake outright to Buffalo Bisons. August 16, 2016 Toronto Blue Jays designated RF Junior Lake for assignment. August 10, 2016 Toronto Blue Jays selected the contract of RF Junior Lake from Buffalo Bisons. July 31, 2016 Toronto Blue Jays sent RF Junior Lake outright to Buffalo Bisons. July 25, 2016 Toronto Blue Jays designated RF Junior Lake for assignment. June 24, 2016 Toronto Blue Jays selected the contract of RF Junior Lake from Buffalo Bisons. April 1, 2016 Toronto Blue Jays sent RF Junior Lake outright to Buffalo Bisons. January 30, 2016 OF Junior Lake assigned to Dominican Republic. December 18, 2015 Toronto Blue Jays claimed RF Junior Lake off waivers from Baltimore Orioles. December 10, 2015 Baltimore Orioles designated RF Junior Lake for assignment. November 8, 2015 OF Junior Lake assigned to Estrellas de Oriente. September 15, 2015 Baltimore Orioles recalled RF Junior Lake from Norfolk Tides. September 8, 2015 Baltimore Orioles optioned RF Junior Lake to Norfolk Tides. September 4, 2015 Baltimore Orioles recalled Junior Lake from Norfolk Tides. August 15, 2015 Baltimore Orioles optioned RF Junior Lake to Norfolk Tides. August 7, 2015 Baltimore Orioles recalled Junior Lake from Norfolk Tides. July 31, 2015 Baltimore Orioles traded RHP Tommy Hunter to Chicago Cubs for RF Junior Lake. July 31, 2015 Baltimore Orioles optioned RF Junior Lake to Norfolk Tides. June 14, 2015 Chicago Cubs optioned LF Junior Lake to Iowa Cubs. May 19, 2015 Chicago Cubs recalled Junior Lake from Iowa Cubs. May 6, 2015 Chicago Cubs optioned LF Junior Lake to Iowa Cubs. April 27, 2015 Chicago Cubs recalled Junior Lake from Iowa Cubs. April 1, 2015 Chicago Cubs optioned LF Junior Lake to Iowa Cubs. September 2, 2014 Chicago Cubs recalled Junior Lake from Iowa Cubs. August 16, 2014 Chicago Cubs optioned LF Junior Lake to Iowa Cubs. July 19, 2013 Chicago Cubs recalled Junior Lake from Iowa Cubs. June 6, 2013 Junior Lake roster status changed by Iowa Cubs. April 4, 2013 Iowa Cubs placed SS Junior Lake on the 7-day disabled list. March 15, 2013 Chicago Cubs optioned SS Junior Lake to Iowa Cubs. October 4, 2012 Chicago Cubs recalled Junior Lake from Tennessee Smokies. March 15, 2012 Chicago Cubs optioned SS Junior Lake to Tennessee Smokies. November 23, 2011 OF Junior Lake assigned to Estrellas de Oriente. November 18, 2011 Chicago Cubs selected the contract of Junior Lake from Tennessee Smokies. July 24, 2011 Junior Lake roster status changed by Tennessee Smokies. July 10, 2011 Tennessee Smokies placed SS Junior Lake on the 7-day disabled list. May 30, 2011 SS Junior Lake assigned to Tennessee Smokies from Daytona Cubs. March 13, 2011 SS Junior Lake assigned to Chicago Cubs. April 5, 2010 Junior Lake assigned to Daytona Cubs from Peoria Chiefs. March 12, 2010 SS Junior Lake assigned to Chicago Cubs. October 16, 2009 SS Junior Lake assigned to Estrellas de Oriente.